Young people who are out of work, education or training for six months will be required to do unpaid community service in order to qualify for benefits if the Conservatives win the general election in May. The current system of Job Seekers’ Allowance (JSA) pays unemployed young people £57.35 a week with no definitive cut-off, while people aged over 25 receive £72.40 a week. Under Tory plans, the JSA would stop after six months and be replaced with a Youth Allowance, which would only be paid if the recipients undertake 30 hours of mandatory community work and 10 hours of job hunting each week. Critics condemned the Tory proposals as being “commensurate to slavery,” while campaign group Youth Fight for Jobs pointed out the plans would leave young people earning an equivalent wage of £1.91 per hour. 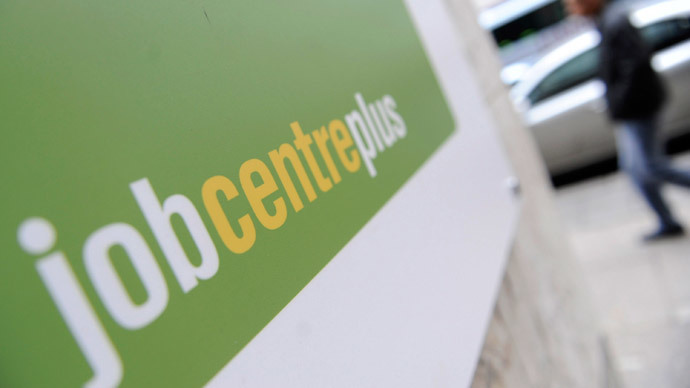 The policy proposal, which is part of Conservative plans to end youth unemployment, was announced by Prime Minister David Cameron in a speech on Tuesday. “What these young people need is work experience and the order and discipline of turning up for work each day,” Cameron said in a speech in Hove. “So a Conservative government would require them to do daily community work from the very start of their claim, as well as searching for work. Community work could include helping in care homes, working in local parks or for charities. Most young people are expected to undertake three months of community service. Young people should do unpaid work to get benefits says @David_Cameron. This guy really is clueless! Get him out of government. 18-21 year olds doing "free community work" if unemployed. Why do Tory responses to unemployment always seem to be commensurate to slavery? Claire Laker Mansfield from Youth Fight for Jobs said the move was an attempt to deflect blame away from the government’s failed austerity program. “The Tories are attempting to shift blame away from their failed austerity policies, and on to young unemployed people who have done nothing wrong. The real problem is a lack of jobs. There are currently around four people chasing every vacancy. Meanwhile, many of the jobs that are available offer only poverty pay and insecure zero-hour contracts,” she said. Mansfield cited recent research which found 70 percent of those placed on the current work program remained out-of-work a year later. “Rather than creating real jobs for the next generation, the Tories have more of an eye on looking after the profits of their tax dodging donors,” Mansfield said. “The government should be warned that it was policies like these that contributed to the rise of Syriza in Greece – a revolt against austerity,” she added. The Conservatives have also pledged to abolish housing benefits for 18- to 21-year-olds. Tuesday’s announcement of youth unemployment reform follows a pledge by Cameron made last week to slash benefits for people with drug and alcohol problems or people who are obese if they refuse treatment.